Tri State Mold Solutions, Inc.
One of the most trusted mold testing companies in the Hudson Valley region, Tri State Mold Solutions, Inc. boasts 15+ years of experience as an indoor environmental specialist. Fully licensed by New York State, we can inspect homes and commercial buildings alike. For all of your mold inspection needs, we're the expert team you want on your side. Are you dealing with respiratory issues due to mold? Are you concerned that your allergy symptoms might be related to mold? When you suspect mold in your home or business, call in the licensed professionals at Tri State Mold Solutions! We specialize in thorough, accurate mold testing for residential and commercial properties alike. Drawing on our owner's 15+ years of experience in the mold assessment field, we'll provide you with a comprehensive report of your indoor environment. Then, we'll give you our expert recommendations on how to proceed. With our licensed mold assessor and indoor environmental specialist taking the lead on your mold testing, you can rest assured your mold problem will soon be a distant memory. So don't let musty smells or respiratory problems linger! Call or e-mail us today to schedule an appointment with a licensed professional. Owned and operated by a NYS licensed mold assessor (license #MA01053) and indoor environmental specialist, Tri State Mold Solutions is dedicated to helping you get your home or business back to a safe, healthy state. We follow strict guidelines and standards, established by the EPA, to ensure you receive the most effective and cost-efficient solutions in the industry. We'll be with you from the initial assessment to the final, post-remediation mold inspection. Always putting our customers' well-being first and foremost, we'll deliver the helpful, constructive mold testing services you deserve. 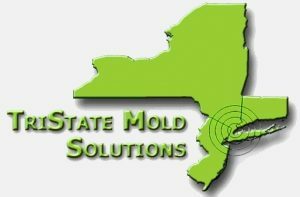 Based in the Lower Hudson Valley, Tri State Mold Solutions serves customers throughout Westchester, Dutchess, Putnam, Ulster, Rockland, and Orange counties. Our team abides by the latest New York State laws, which require separate mold remediation and mold testing companies for every job. Additionally, state laws mandate that the mold testing company provides the mold removal company with a complete remediation plan. This is for the property owner's protection. At Tri State Mold Solutions, we exclusively do mold testing (no remediation). As such, we're happy to provide you with thorough, careful mold inspection and testing, in addition to all the proper paperwork. We'll do whatever it takes to put you on the right track for remediation. Making it easy, affordable, and hassle-free to get your home or business back in tip-top shape, Tri State Mold Solutions is ready to put our mold testing expertise to work for you. Don't let mold create potential health hazards for you and your family. We're your go-to mold testing company throughout New York's Hudson Valley. Call now! For your peace of mind and protection, Tri State Mold Solutions is fully licensed, certified, and insured. We also hold certification from the National Association of Mold Remediators and Inspectors (NAMRI). 10% off for fire & military, veterans & seniors, and law enforcement!